One of the greatest things I have learned from Jamie Oliver is that bashing chicken out flat with a rolling pin is great. It’s a technique he uses frequently in both his 30 Minute Meals and 15 Minute Meals books. 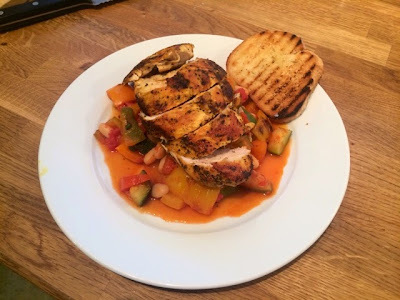 Not only is it really fun and quite therapeutic, it also means that by increasing the surface area of the chicken you can cook it much quicker, ideal for mid week meals. This dish, whilst it looks well planned, was actually knocked up from a load of leftovers and store cupboard ingredients. It just goes to show what you can do when you think you haven’t got much in for dinner. 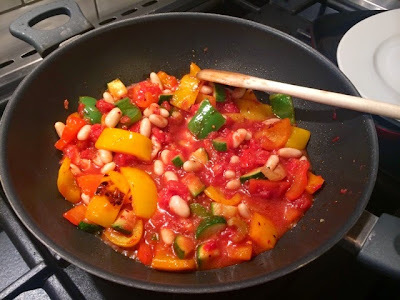 A few days before I made this I’d cooked an enormous paella for a local village function and had massively over estimated the amount of veg I needed for it, resulting in a huge tub of already chopped peppers, courgettes and celery in my fridge. 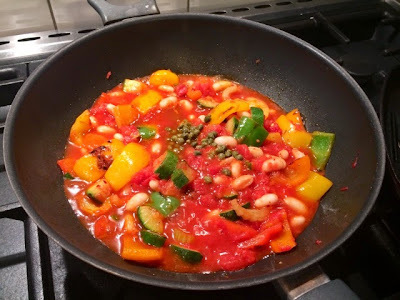 Combine this with a tin of tomatoes, some beans and a bit of spice and you’ve got a great vegetable stew/ratatouille. I delved into the freezer to find something to go with it and pulled out a couple of chicken breasts that I could defrost just in time for dinner. Whilst rummaging around the cupboards I also came across half a loaf of stale bread. It was a really nice loaf and way too much to throw out so this got thrown into the mix in the form of croutons. Unless it’s gone mouldy there are endless uses for stale bread. It’s still good for toast, bread & butter pudding, can be blitzed up for breadcrumbs or, as I’ve done here, used to make croutons for a variety of different dishes. 1. 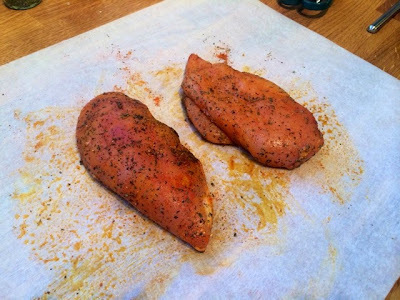 Lay your chicken breasts out on a piece of greaseproof paper, drizzle with a little olive oil, sprinkle on all the herbs and spices and season with salt and pepper and rub the mix in so that all sides are evenly coated with your homemade spice rub. 2. 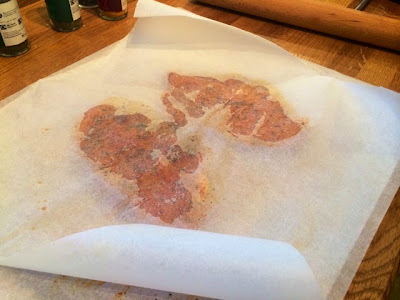 Lay a second sheet of greaseproof paper on top and using a rolling pin, bash the chicken breasts out flat until they are roughly 1.5-2cm thick. 3. 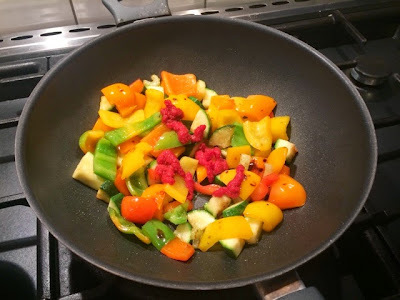 In a large pan heat a little oil, throw in the peppers, courgettes and celery and cook until softened. 4. Add the tomato purée, mix through and fry for a further 2-3mins. 5. 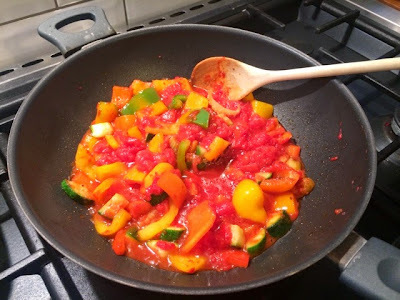 Pour in the tinned tomatoes, season generously with salt and pepper and add the chilli flakes. Cover and leave to simmer, if the mixture looks like it’s drying out at any point, add a splash of water. 6. 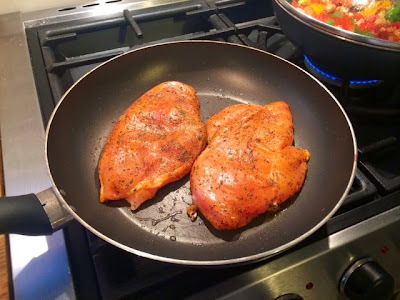 Meanwhile, in a separate large flat pan on a high heat, heat a little oil and lay in your flattened chicken breasts. Fry on this side for 6-7 minutes. 7. 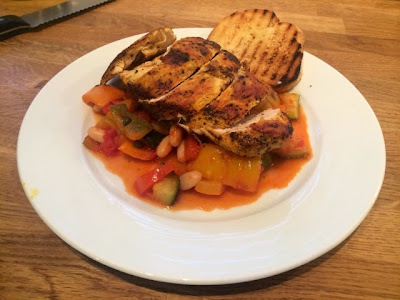 While your chicken is cooking away add the cannellini beans to your ratatouille. Cover up again leaving to simmer gently. 8. 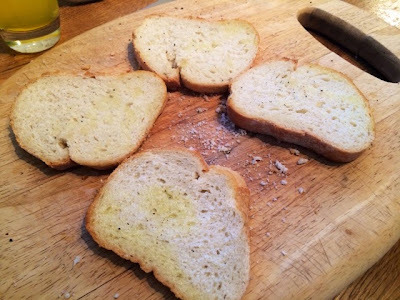 Take your slices of stale bread and drizzle both sides lightly with oil, seasoning well with salt and pepper. 9. 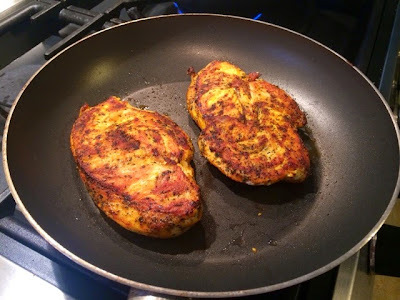 Turn over your chicken breasts cooking for a further 6-7 minutes on the other side. 10. 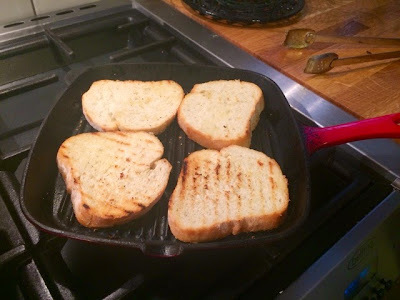 Either in a griddle pan or under the grill toast your croutons for 2-3 minutes on either side until lightly golden. 11. 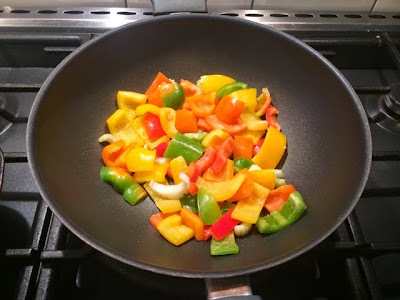 Stir the capers into your ratatouille. 12. On a board slice your chicken breasts into strips. Spoon the ratatouille onto warmed plates and serve the chicken pieces on top with a crouton on the side to soak up all of the sauce.